The highly anticipated launch of the PlayStation Home Open Beta did not come as smooth as PlayStation 3 owners would’ve expected – but at least Sony are backed up by the fact that it’s a Beta stage and that’s exactly the reasons it kicked off: to find errors and correct them. Also, all the reported problems and errors regarding the launch of Home should not be considered such a huge surprise: the NXE had a rocky launch, too because, well, that’s just the way things happen. 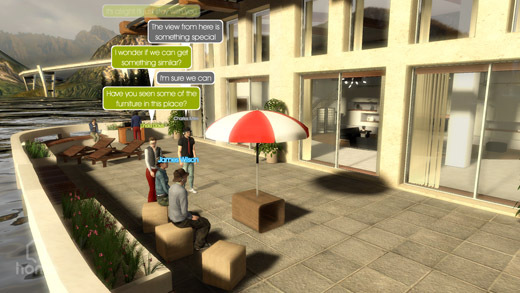 However, fans don’t seem to be so open to compromise: they want to test all the cool things brought by the PlayStation Home experience and the fact that they can’t drives them mad. If you check the official announcement blog entry, you will find out what I mean. People are complaining that all sorts of error codes make it impossible for them to log in, to enter their apartment or actually do anything in the PlayStation Home. However, the folks over at Sony are working hard to fix all the problems and probably by the end of today, you will all be able to have a smooth stay at Home. And having in mind that the weekend is coming, the fixes will come just in time for even more testing. So please let us know what’s your opinion on PlayStation Home and, most important – are you still having problems with it?